Barbara Taylor Bradford delivers all the drama, suspense and romance her listeners expect in a riveting novel that begins with a murder in an old Connecticut barn and reaches its climax on Broadway. 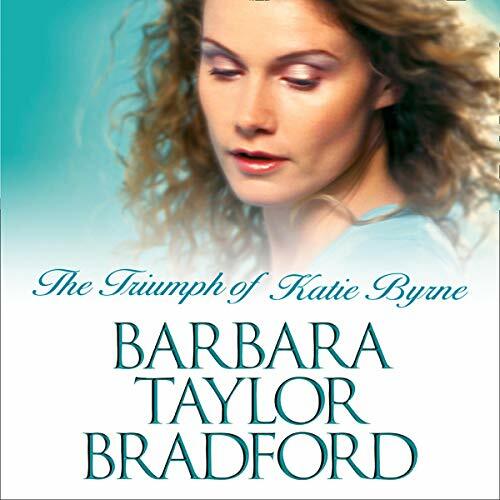 We first meet Katie Byrne at 17. A tall beauty with reddish-gold hair, she has always wanted to be an actress. Her two best friends share her passion for the theatre, and the three girls have spent much of their childhood rehearsing plays in an old barn in Connecticut. Leaving early one day to help her mother prepare dinner, Katie realises she has left her schoolbooks at the barn, and she and her older brother return to retrieve them. When they arrive, they find the barn, the setting of so many happy dreams, has become the scene of a nightmare: one of Katie's friends has been raped and murdered, and the other lies unconscious. Ten years later, Katie, a struggling actress in New York, is still haunted by the tragedy. Her friend Carly remains in a coma, and Katie desperately wants to achieve success and stardom not only for herself but also for her two old friends. Her big chance comes when she is discovered and wins a major role in a Broadway play. A promising love affair adds to the excitement of working on Broadway, but Katie must face the demons of the past before she can embrace the possibilities of the future.